The Videogame BANG! team welcomes more Sacramento Indie Game Devs to the studio to promote their latest games and talk about the Sacramento Indie Arcade! 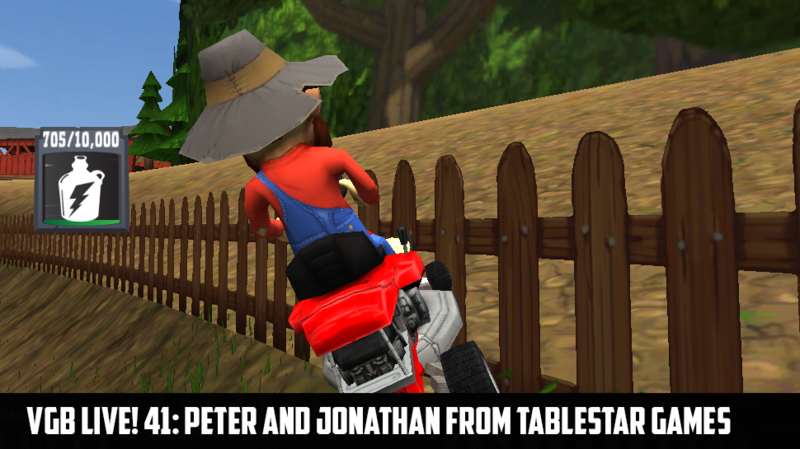 This time around we have Peter and Jonathan from the Table Star Games team to talk about their hillbilly lawn mower racing game called ‘Mow and Go!’. These guys are members of the Indie Game Developers Association, Sacramento Chapter and stick around the entire show. We have a full house this week with Cory and Webb returning to the weekend show hot off their adventures at Silicon Valley Comic Con. Lareesa tries to talk the guests into developing Adult only games, while Aaron Carter works his hardest to keep the show on the rails. We are so close to Sacramento Indie Arcade people! It’s going to be an awesome event, VGB will be there in full effect doing a live show with special giveaways from AntLion Audio and hanging out with cosplay extraordinaire Macy Rose.